Peel— The Muslim Council of Peel (MCP) will be hosting vigils on Tuesday, January 29, 2019 in Mississauga and Brampton to mark the second anniversary of the attack on the Centre Culturel Islamique de Québec, in which six men lost their lives and countless others were injured. Vigils will take place at the Brampton City Hall Conservatory at 10:00 am, and the Mississauga Civic Centre C Banquets, on the 12th floor, at 7:30 pm, and will feature addresses by Mayors Brown and Crombie, Community and faith leaders will also be present. Vigils will commemorate victims Ibrahima Barry (aged 39), Mamadou Tanou Barry (aged 42), Khaled Belkacemi (aged 60), Aboubaker Thabti (aged 44), Abdelkrim Hassane (aged 41) and Azzedine Soufiane (aged 57), and reflect on the human cost of hate and Islamophobia. “These vigils are about us coming together with our elected and interfaith leaders, as communities, to say that we reject hate and Islamophobia in all their forms, and we will not forget what took place on that horrific day two years ago”, said Muslim Council of Peel Executive Director Rabia Khedr. 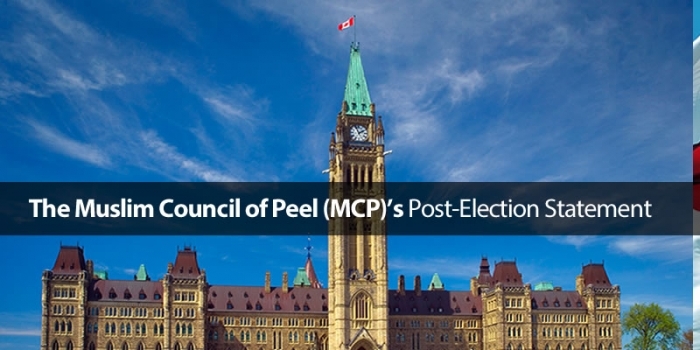 The Muslim Council of Peel aims to provide a coordinated voice for Muslim-led organizations in the Peel region. MCP is dismayed that people fearing Islam and Muslims are targeting schools.